* Please note that you do not have to be a member at AmPav to attend the panel, but you must have a festival badge to get into the pavilion. Please RSVP at info@castingsociety.com in order to placed on the guest list. The Casting Society of America, the International Network of Casting Directors, and the American Pavilion hosts a special panel at Cannes to celebrate the profession of casting. The target audience will be industry professionals who collaborate with casting directors as well as those interested in pursuing casting as a career. Directors, producers, agents and actors are all welcome to attend this round table discussion that explores the history, growth and art and craft of the casting profession in the film industries. Themes will include the qualities that make a successful and effective casting director, the creativity and the evolution of casting, and how casting directors best collaborate with actors, agents, producers and directors. The panel represents a broad range of experienced international professionals. RICHARD COOK (Ireland) is a talent agent. He is co-founder of the Lisa Richards Agency (www.lisarichards.ie) and Artistic Director of SUBTITLE (www.subtitlefest.com), a European Film Festival based in Kilkenny, Ireland; in the relaxed, informal setting of Kilkenny city, it connects influential casting directors from the US, UK, Europe and Ireland with a small selection of European actors. CONSTANCE DEMONTOY (France) collaborates with Quebecker directors like Jean Marc Vallée, Denis Villeneuve and Denys Arcand and with Europeans Thomas Vinterberg, Pepe Dancquart, Sharunas Bartas and Andrei Konchalovsky. Her recent credts include Golden-Globe winner Elle (dir. Paul Verhoeven,) the Director’s Fortnight selection of Frost, (dir. Sharunas Bartas) and Rodin , (dir by Jacques Doillon,) which is in the Official Selection for Cannes this year. JENNY JUE CSA (LA) has been working in feature film casting since 2003. She has been nominated for CSA awards for Kaboom (Dir. Gregg Araki), and My Son What Have you Done? (Dir. Werner Herzog), and won for Inglorious Basterds (Dir. Quentin Tarantino). Recent projects include two feature films for Dir. Bong Joon Ho, Snowpiercer and OKJA, which is currently in competition at Cannes. 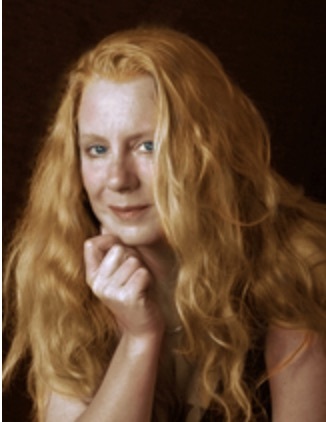 TUSSE LANDE ICDN (Sweden) has worked for over twenty years in the Scandinavian and European market. Credits include Girl with the Dragon Tattoo, The Girl Who played with Fire and The Girl Who Kicked the Hornet´s Nest. She has also collaborated on the Bond franchise with SkyFall, and Spectre. Her contribution to ‘Nordic Noir’ features television series such as Wallander, Beck, and Jordskott. DEBBIE McWIILLIAMS, ICDN, based in London, has been a beloved and experienced member of the casting community for many years. She is most celebrated for her work on the James Bond franchise. Other recent credits include the soon to be released A&E series, Knightfall, Angels and Demons, directed by Ron Howard and Centurion, directed by Neil Marshall. NANCY BISHOP, CSA, ICDN is an Emmy award nominated national board member at CSA and will moderate. With offices in London and Prague, she just cast “Ophelia,” starring Clive Owen, and Naomi Watts. Recent credits include Unlocked, directed by Michael Apted, Don’t Breathe, and Mission Impossible IV. Her second book, “Auditioning for Film and TV,” was published by Bloomsbury. CSA: The Casting Society of American currently boasts more than 600 members. CSA Casting Directors and Associates work around the world, with members based in the United States, Canada, Europe, Australia and Africa. Today CSA acts as a global resource for producers, directors and creative teams seeking casting professionals, promotes the image of casting directors and associates worldwide, engages in a number of charitable activities, and supports its members by sharing important and helpful professional information of common interest. ICDN: The International Casting Directors Network, based in Berlin Germany, is in the process of transforming from a Network to an independent association. The aim of ICDN is to promote professional casting practices across borders and to support open communication and collaboration among casting directors. The American Pavilion, celebrating its 29th year as the epicenter of American hospitality and communication at the Cannes International Film Festival, brings together both professional and emerging filmmakers along with industry executives from across the globe. A sought after destination for information, orientation, and recreation, it accommodates the needs of its members, guests and sponsors in a dynamic business environment. With its impressive array of amenities and services, AmPav provides an opportunity to relax in very comfortable surroundings. Join Nancy in Amsterdam for a two day intensive audition and film acting course. Nancy Bishop Masterclass in Amsterdam from TheodoraVoutsaProductions on Vimeo. Actors participate in a series of targeted exercises that develop effective methods for on camera work. Material covered will include playing an inner monologue and playing specific objectives. Each actor will choose a scene and send in Self tape auditions in advance which will be critiqued on the day. At the end of class, actors will be assigned scenes to prepare for mock castings the next day. Nancy is a CSA member. This means that actors understand that Nancy Bishop follows CSA guidelines for teaching. This class is exclusively instructional in nature and acceptance of actor attendance does not imply in any manner or circumstance any professional reciprocity, either now or in the future, nor will acceptance of attendance influence an actor’s ability to secure a future audition for projects that they may be undertaking. No headshots will be collected at the class. 10:30- 12:00 Targeted exercises will hone audition technique. Seminar for actors will focus on strategies for actors to promote themselves and procure work in the international market. Topics will include how to best take advantage of the internet for marketing, organize a professional CV, choose a winning headshot, produce an effective show reel, record auditions to send to production, and use social media. Join Nancy for a book signing of “Auditioning for Film and TV” (Bloomsbury) afterwards. 10:00 – 12:00: Actors will perform scenes assigned on Saturday with coaching from Nancy. 14;30 15:30 Archetypes workshop. Actors will bring a printed copy of their headshot for feedback. Nancy Bishop, is an American Emmy –award nominated casting director who has cast nearly one hundred International projects. Based in Prague and London, she has cast for major feature films including and Mission Impossible IV, Roman Polanski’s Oliver Twist, Prince Caspian, Bourne Identity, and the recently released independent film, Don’t Breath. She has been teaching film acting master classes internationally for many years. In addition, Nancy founded the Acting for Film Department at the Prague Film School. 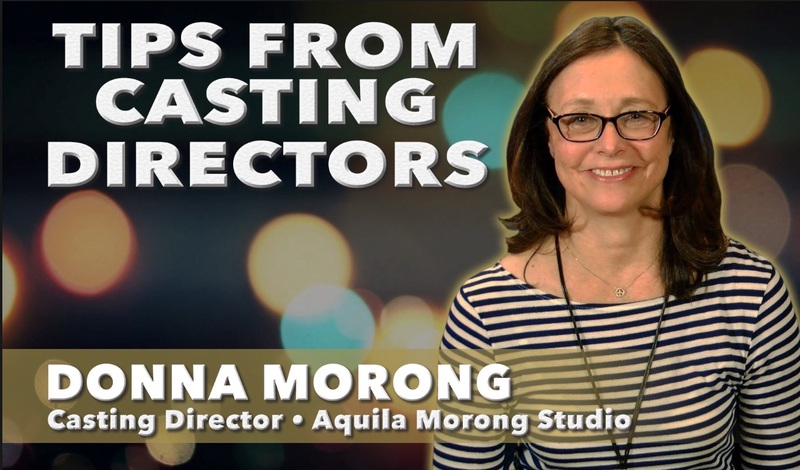 She serves on the board of directors at the Casting Society of America, and has penned two book about Audition Technique. producer, Ilene Kahn Power was Executive Producer on the acclaimed GIA for HBO, the tragic true story of the supermodel starring Angelina Jolie, Mercedes Ruehl, and Faye Dunaway, The film received three Golden Globe Awards, six Emmy nominations, including Outstanding Motion Picture For Television. She was also nominated by the Producers Guild of America for the Laurel Award as Outstanding Producer for long ¬form television for her work on the film. She was instrumental in establishing HBO Films as the potent force it has become today. In the mid 90’s she left her executive post as a Vice President of HBO Films to form the production company KAHN POWER PICTURES. About Auditioning for Film and TV: This book is the updated and revised version of “Secrets from the Casting Couch.” A great read, endorsed by Donald Sutherland, Auditioning for Film and TV is a bible of knowledge for jobbing actors. Learn crucial strategies for marketing, auditioning, and using internet technology to forward your career. Books will be on sale for 500kc and Nancy is happy to sign copies. Nancy is a CSA members. This mean that actors understand that Nancy Bishop follows CSA guidelines for teaching. This class is exclusively instructional in nature and acceptance of actor attendance does not imply in any manner or circumstance any professional reciprocity, either now or in the future, nor will acceptance of attendance influence an actor’s ability to secure a future audition for projects that they may be undertaking. No headshots will be collected at the class. Casting directors Nancy Bishop, CSA and David Stejskal offer a special Master Classes in their home city of Prague, 9-11 Dec, 2016. All actors will have been pre-assigned self tape auditions which we will view in the class for critique by Nancy and David. 10:00 – 12:00 Warm up exercises targeted to help actors identify strategies to approach auditions by identifying circumstance and objectives. Actors will participate in a series of cold reading exercises that will exercise strategies and ability to feel confident with new material. At the end of day, actors will be assigned scenes for mock auditions the next day. About Nancy: Emmy-award nominated, American Casting Director, Nancy Bishop, has cast nearly one hundred international TV and film projects, from her offices in Prague and London. She has cast for major feature films including and Mission Impossible IV, Roman Polanski’s Oliver Twist, Prince Caspian, Bourne Identity, and she recently finished the European casting on Michael Apted’s Unlocked. She is currently developing several independent features with Das Films. She has been teaching film acting workshops throughout Europe, the UK, and the US for many years. In addition, Nancy is the founding head of the Acting for Film Department at the Prague Film School, and author of two books on auditioning. About David: David Stejskal is the head caster in Nancy Bishop’s Prague office. He has worked on projects such as the TV series Transporter, Crossing Lines and the soon toe be released feature film, Interlude in Prague. Trained as a film director, he is also skilled at working with actors and has been coaching actors privately as well as holding a teaching position at the Prague Film School and a guest lecture appointment at FAMU. About Nancy’s best-selling book (published by Methuen Drama) Acting for Film and TV: gives practical advice for actors, written from a casting director’s point of view, teaching the craft of film auditioning in front of camera. This best-selling book shows how actors can work with today’s internet technologies to book roles, and features advice and actual exercises that achieve results in the casting studio. The book will be available for a discounted price of 10 EUR. About Prague: Meet and work with actors form all over Europe in beautiful Prague, the Golden City filled with a thousand spires. Visit the Christmas Market. The master classes will take place at Letna Studios in Prague overlooking Letna Park. Prague is also of particular interest to actors not only because of its rich theatre history (notably with former President/playwright Vaclav Havel) but because hundreds of international film makers and large scale studios flock to Prague each year to shoot films. *Nancy and David follow CSA guidelines for teaching. Please note that acceptance by Bishop/Stejskal for your participation in this class is strictly based on your current material including your CV and headshot. This class is exclusively instructional in nature and our acceptance of your attendance does not imply in any manner or circumstance any reciprocity between us, either now or in the future, nor will our acceptance of your attendance influence your ability to secure a future audition for projects that we may be undertaking. We will ask you to sign a release form to this effect. Thanks for your understanding. Nancy Bishop, CSA* Emmy- Award Nominated Casting Director and author of Auditioning for Film and TV offers a special three day MASTER CLASS for actors who wish to position themselves for international work. Stay on top of your audition technique with this two-pronged class. Learn valuable skills for self-taping your own auditions, as well as improving your studio on-camera training. All participants will have an opportunity to buy “Auditioning for Film and TV for a special discount price. Actors are increasingly asked to tape their own auditions and send them digitally to casting directors. Targeted exercises will hone cold-reading skills. Actors will worked with basic assigned texts to practice identifying and playing strong objectives. Nancy will also teach cold-reading technique with assigned material. At the end of the day, scenes will be assigned for mock auditions the following day. Mock Auditions. Nancy will give everyone coaching and feedback on their assigned scene. This will be followed by taping and critique. Nancy Bishop, has cast nearly one hundred American and British projects. Based in Prague and London, she has cast for major feature films including Mission Impossible IV, Roman Polanski’s Oliver Twist, Bourne Identity, the recently released box office success Don’t Breathe. She has been teaching film acting workshops throughout Europe, the UK, and the US for many years. In addition, Nancy founded the Acting for Film Department at the Prague Film School. She is a member of CSA, BAFTA, ICDN and the Emmy Academy. In addition to the class, actors are welcome to RSVP for Nancy’s Free Actor Marketing Seminar and Book Launch sponsored by Spotlight.